I thought that it would nice to make a list of some Bricklink (or Brickowl) stores of Bricksetters so that we can all look there first. I already know @Rebelego 's store, which is Great Southern Bricks, @graphite 's store, which is Graphite Industries and @DadsAFOL store, which is Constructibles™ and maybe @Bricklover18 's store (please confirm) which is BRICKLOVER18. If you know or have a Bricklink store, feel free to add to this list! @kiki180703 it is not my store, I think it's the youtuber's (BRICKLOVER 18) store. @kiki180703 Thanks! 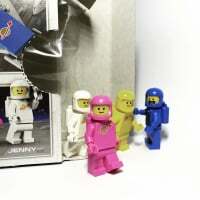 I'm going to give Bricksetters a 10% Discount for all time when they buy from my store as long as they message me with their order and tell me their Brickset name. Probably message me on BL and on Brickset to verify. Thanks! Store name is Pirate's Turmoil - let me know you are from brickset and I'll add that 10% discount as well. Cheers. I also created one a couple of days ago to sell some odd elements, Minifigures and ploybags however I'm still working on it which means it's currently closed. Will be adding new minifigure parts over the coming weeks. 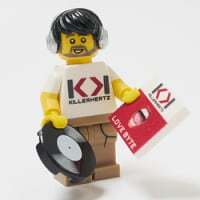 Drop me a message on BrickLink when you're ready to order, saying you're a Bricksetter and I'll send you a discount code. Polybags and More (http://pam.brickowl.com/) is mine. Shipping at cost, no extra fees, usually same day despatch. Always interested in giving credit for polybags I don't have. My Bricklink store is Central Bricks http://www.bricklink.com/store.asp?p=bnsf734 Flat rate UK shipping, no extra fees, no minimum order and 167,000 parts waiting. Same day shipping usually. The store I run is Set You Up. I'm just starting it, but it does have a number of NISB sets, complete sets, and Bionicle masks. I ship pretty much anywhere, and usually ship the next day. I'll even give Bricksetters a 10% discount. Send me an email or PM before placing the order and I will send you a coupon. A few bricksetters have purchased from me previously. Feel free to use either marketplace, although I prefer the Owl experience myself. i just shipped 4 orders. so there are 4 feedbacks incoming in the next days! i am still in the beginning of the process of setting my store up. whenever i find some time i try to put things on my store at reasonable prices. I have a whole bunch of Lotr sets and figures which I will add possibly at the end of the year. Currently 31,000 items in stock, mostly Star Wars related! Fast shipping, usually next day! Wife's store on bricklink is "jenzbricks"
Closed this week while loft is converted but then back on with the 10% off January sale! @kiki180703 are you going to add the oher stores to a list in the first post? Maybe we could get @Huw to do us a sticky and edit the first post into just a list (maybe grouping by country). With discounts being banded around we could also move it to members only maybe too. It would be a valuable resource for sellers (get some decent advertising) and buyers (discounts and trust). Only problem being problems spilling over onto the forum - a disclaimer should cover it though. Sorry guys, I'd do it myself if I could, but I'm just a news editor, and don't have the ability to change things on the forum. @Huw , @drdavewatford , @CapnRex101 : Could any of you move this thread to the Members Only category? Thank you! Also, feel free to add to this list! 10% discount for Bricksetters (please comment in order or message me for coupon code). I am thinning out my Lego collection so I have been adding my previous built sets to my inventory. Also I am going to be listing most of my MISB collection of Lord of the Ring and Hobbit sets. Great idea for a thread @kiki180703, it will be a big help for us supporting our fellow Bricksetters selling on BL. While I don't have a store on BL, I know @vitreolum does, previously purchased though him, White Stallions was the name (good service & good prices). Im happy to announce that I already had a Bricksetter, @ricecake, place an order through my store because of this thread! Yay! I will do 10% off order (Not inlcuding shipping) and throw out the packaging fee ($0.50-$0.75). If I'm running a sale, I will still do the discount. And I just reopened my International shipping! Thanks, I'm looking forward to receiving my order! Anyone have a good amount of 1x1 plates in their stores? Non-transparent ones preferable. Mine is Wag's Brick Stop. I also have a facebook page by the same name. I have about 260 non-trans 1x1s. About 20 different colors. So not a large bulk of one color. Not ideal if wanting for a mosaic or something similar. I have about 400 non-trans. Dark tan are the most common (aprox. 160) so not masses of anything, I'm afraid. This actually makes me wanna open a store now! at some point i will wish to get 1x6 and 1x4 white bricks and right now it look like i have to get them off [email protected] pick a brick. i need other stuff to but there the most pricey on pick a brick. I'm KingAlanI, The Brick Baron. My store has some recent small and midsized sealed sets. I've just opened a store called Perijove Point. I currently focus on selling step-by-step .pdf instructions for my custom MOCs to help fund this hobby. I only have two items right now, a transforming hippie van named Pieceout and the Orbital ATK Cygnus cargo spacecraft. I plan to add many others over time. I'm looking for 2x3 white plates for a tank...and probably will be searching for other pieces soon for an upcoming World War Brick event. I'll be sure to check out your stores, fellow Bricksetters! I'll give a 10% discount to anyone who mentions being a member of brickset. I'm running a 20% off sale at GSB on all parts. Go check it out! I keep updating my selection of sealed sets. I also have complete #70778 and #70779, and some parts from #10692, #30205 and #41104. I am hoping to provide Lego to fellow fans, and am working at building up my stock every week. If any of you have any suggestions as to how I could improve my store, please let me know. I will offer a 10% discount for fellow Bricksetters (please comment in order or message me for coupon code). Congrats @Rebelego on the addition to a new Lego fan to your family! Have you started buying any Duplo yet? Dang! This thread has a Slickdeals effect: your store got hit up big time, it appears! I've opened my store at BL now too: http://www.bricklink.com/store.asp?p=MarieA - still available at BO as well: http://pam.brickowl.com. No fees, €5 minimum order, same day despatch usually, credit cards and PayPal accepted (IBAN also on BO).